Call 919-845-9909 to Get Started Today! New homes in Raleigh, NC from the mid 200’s presented by Mungo Homes. One and two-story homes feature open plans, kitchens great for entertaining, either an upstairs or downstairs master suite with indulgent bathrooms, up to five bedrooms and a garage. Many plans include formal rooms, sunrooms, and bonus room options. Exceptional new home features — including a Rinnai tankless gas water heater for endless hot water — are already included and Mungo Homes offers a generous list of additional options to personalize your new home. All new homes are hauSmart certified – an exclusive program that ensures that your home is healthier for you and the environment, built with energy efficient features and construction techniques so that it costs less to operate, and includes features to make your life more convenient and comfortable. 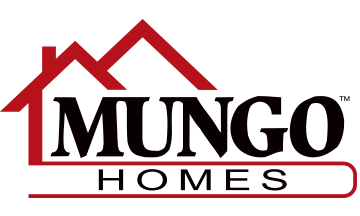 Trust the biggest purchase of your life to family-owned Mungo Homes, building for generations of homeowners since 1954. Mungo Homes builds new homes throughout South Carolina, North Carolina, Georgia, and Alabama ranging from the low $100s to more than $600K. We have models open every day in many of our neighborhoods with on-site licensed Real Estate agents ready to help with your home purchase – whether you want to build from the ground up, chose one of our homes under construction, or purchase a home already completed for quick move-in. North on Capital Blvd/US 1, right on Buffalo Rd., cross over New Hope Rd. and turn right on Westminster, left on Willow Creek, right on South Beaver Lane into Neuse River Estates.